To the horror of many sellers, Amazon sent a notice on Thursday that it would begin collecting sales tax on seller fees and services, but sellers were left with many questions, and the company did not respond to our request for more information. Many readers forwarded the letter with questions and comments. "I just got this notice from AMZ and I swear I'm ready to stop selling online," wrote one seller. "This is too much. We are small, little sellers and we can't comprehend all this tax stuff. Taxes on Referral fees; subscription fees????" The taxes affect sellers based on the state in which they are located, though Amazon did not provide such a list, and it impacts FBA *and* non-FBA sellers. - What fees are taxable? - How will tax be calculated on my seller fees? For Fulfillment services, the fulfillment center performing the taxable service will determine the tax rate. For Selling on Amazon fees, the location of your business in a taxable state will determine the tax rate calculated. - When does this begin and where can I see any tax collected on my seller fees? - Can I opt out of using FBA fulfillment services that may be taxable? FBA services are performed on your items when you elect to purchase these services from Amazon or when the packaging and prep requirements are not met. To manage your FBA settings and minimize FBA service fees by prepping your items before sending to an Amazon fulfillment center, visit Fulfillment by Amazon settings at (link). 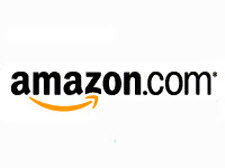 To learn more about packaging and prep requirements, refer to the Help page available at https://sellercentral.amazon.com/gp/help/200141500. Etsy already collects tax in certain states on applicable seller fees where required by law, but the only information we could find is on this page where it states, "Where applicable, state sales tax will be applied to the Pattern subscription fee and the Etsy Plus subscription fee charged by Etsy." eBay has a help page about taxes where it mentions taxes on seller fees, but only VAT and GST: "Depending on tax legislation where you live, local Value Added Tax (VAT), Goods and Services Tax (GST), or similar consumption tax might apply to your eBay seller fees." A seller on Reddit said, "It's worth mentioning that many of the electronic services we use such as accounting, sales tax, payroll etc.. have started charging sales tax within the last 6 months." Paul Rafelson of the Online Merchants Guild compared the taxes described in Amazon's letter to sellers to VAT tax systems (Value Added Tax). "If this is allowed, then states will have essentially created a VAT system, where they are going to tax direct input costs along the supply chain. But unlike VAT, there is no refund mechanism, so the sellers' price would have to reflect the double charge, so that the cost could be pushed down to the consumer." He said that while businesses pay sales tax too, items that are taxed at the business level are typically overhead (not including Cost of Goods Sold), such as office computers - and are not direct / per unit costs. "Sales tax law and policy is written to avoid a scenario like this where there is a direct double tax on per unit inputs that would directly be pushed down to the consumer," he said. One concept we find outright absurd is that Amazon would collect sales tax on what it calls a "Refund commission fee." Note that we are also waiting to hear back from eBay to see if it has similar plans. Why do I have the feeling Amazon caters to china more then eBay does! You notice how they say based on "location"
Amazon's growth is fueled by chinese sellers who can crush American competitors who are trying to sell chinese products cheaper then the chinese can. . .
Government is killing Our way of life. As usual, the politicians have found a way to get more money from their constituents and then manage to blow it on their stupid pet projects in their specific jurisdictions. I love some of the studies I have seen on the Federal Budget that are so ridiculous all a person can do is laugh, but the politician is proud of it because he brought Federal Tax money to his voters. I am trying hard to remember the funniest one but all I can come up with is one year there was a study of why pigs vary as to their skin color or something along those lines and they spent over $75 million on it. There was no need or benefit to this study other than the Congressperson to be able to say they brought $75 Million tax dollars to their voters so they should be voted into office again next election. It is stupid things like this that get added to the good bills that are trying to make their way through the voting process but every person that agrees to vote for it has to add their own personal spending attachment to it. This charging sales tax on internet sales and services is just another way for politicians to get more money that they can blow on stupid projects. If they really needed it and spent the money where it is needed I would not have an issue with it, but that just rarely seems to happen anymore and they bury these junk attachments as deep as they can so they are not brought up and discussed openly,. Ina wrote "One concept we find outright absurd is that Amazon would collect sales tax on what it calls a "Refund commission fee." Ina, when I read that sentence in the email that I got from Amazon I was gobsmacked. It makes absolutely no sense whatsoever. And here's the irony--Amazon pretty much gets a free ride as it relates to taxes. Cities beg to subsidize them. I don't sell on Amazon and I no longer buy on Amazon since my free 1 year prime subscription expired. . .
Toolguy says "And look at all those FEES! and people complain about eBay! " You'll eat those words when eBay and all other ecommerce companies adopts these same policies. And if that isn't enough, what little profit if any is left is taxed by the Federal govt. Ten fees, taxes for one single item. Then there's the buyer abuse, lack of seller protections, hidden listings, changes every week, sites flooded with Chinese junk and counterfeits. Every day I wake up and thank G-d I stopped selling on these sites on September 2018. The government, the postal service and companies like ebay, Amazon and etsy are systematically destroying the online selling experience for small to medium sellers. Literally purging every single dime they can get their greedy hands on. ...And I hear the "extraordinarily reasonable" (Haaa) 3.99 per shipping a single DVD on Amazon is jumping to 4.99 soon. Can you Imagine ? Does anyone really buy these things at these shipping prices? Maybe people would go out and buy tangible product instead of pirate downloads and torrents etc... If certain other people weren't so damn greedy. Amazon is lame. Has been for a while. Amazon's fees _are_ higher than eBay's though. They take 10% out of an anemic shipping voucher, which forces you to pad the item price where they charge 15% plus a flat 99c fee. That's if you aren't paying FBA rent. RKToys says "Amazon's fees _are_ higher than eBay's though." That is true but a plus with Amazon is that I deal what a whole lot less loonies and bottom feeders there. I do agree with you about the fees though. The shipping allowance is pathetic. From the article: "One concept we find outright absurd is that Amazon would collect sales tax on what it calls a "Refund commission fee." AKA Administrative Fee. While I find this whole thing outrageous, the line item on the list of fees that I find the most ridiculous Sales Tax Collection fee. So if they start charging a Sales Tax collection fee, there is going to be another fee for sales tax on the fee charged to collect sales tax. WHAT??!!?? I'm getting dizzy!!! And you're working for no one but me." With all of these fees, taxes, fees on taxes, taxes on fees, and so on, selling online is getting to be like anything else - if you aren't big already, don't even bother. Pretty sad when you have to find stuff at pennies on the dollar (eschewing all normal distribution channels in the process) to make a buck. Reaistically I'm not sure what it's like where you are but in the desert our weather is pretty good daily. I'm seeing more and more pop-up swap meets - your know vacant corners that sellers just kinda set up a flea market (unlicensed of course) There's more and more "events" held in parking lots outside antique malls - 1 today as a matter of fact. Those do it yourself auction sites are doing fairly well. Craigslist is jamming - selling in Facebook is ever growing - garage sales have whole website announcing events. UTubers are spreading the word to get off internet selling while you can. Seller groups on Facebook help each other devise new methods to avoid the ever hungry tax man. Ebay's getting killed with their greed and apparently Amazon is about to start their decline. The government is again reaping yet another tax on the peasants - taxation without representation. Remember the tea party? And the government continually gives themselves raise after raise and all the tax evasion breaks it can to the wealthy. It's coming folks - hang on - revolution. Could this be a Not So Veiled attempt at reviving Brick and Mortar stores ? Because This is going to destroy everything in online sales. As Silver Ice King said - it's more a policy that politicians in certain states - like NY - have come up with and less of an Amazon decision. Taxing online sales has opened the door to all sorts of new taxation states can come up with. This is going to destroy everything in online sales. "I told you he'd find the money for that divorce"
"Someone's got to pay for that big divorce "
It's not like Jeff gets to keep this money! They are TAXES, the states are the ones making out not Bezos. . . . .